Successfully Added ORDO S13 Fitness Tracker Bracelet - Bluetooth 4.0, Heart Rate, Blood Pressure, Pedometer, Calorie Counter, IP67, App Support to your Shopping Cart. The ORDO S13 Smart Fitness Tracker Bracelet is a perfect little health gizmo that motivates you to live an active lifestyle. 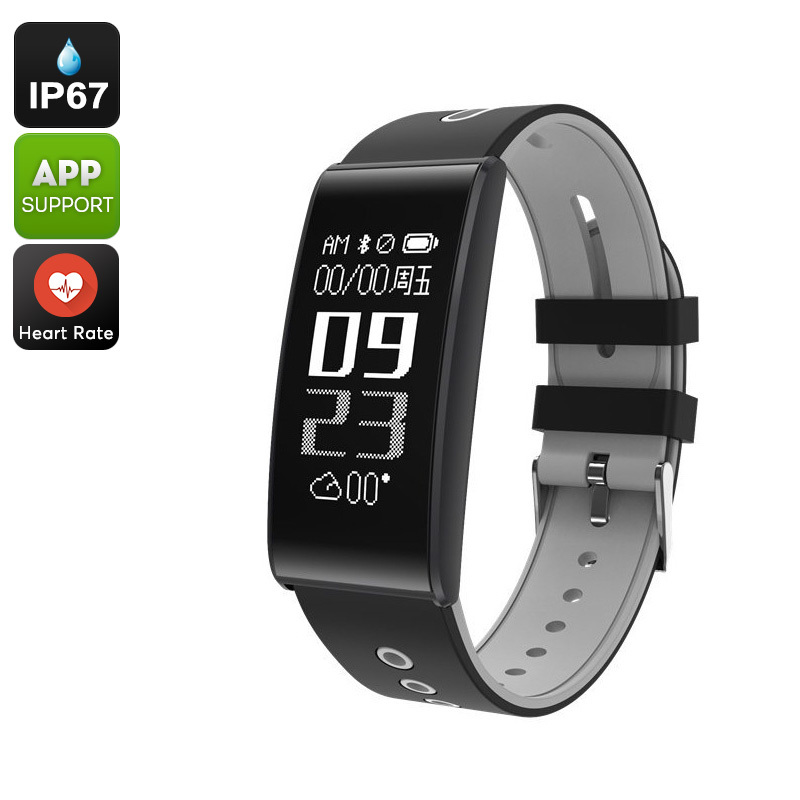 This sports tracker features several high-end smart health and fitness features. These features give you accurate information on your current activity levels and health status. The smart bracelet is compatible with both iOS and Android phones. When used with your smartphone, you’ll be able to analyze your data and track records via the dedicated mobile Application. The watch is rated IP67 waterproof, meaning that you can wear it in the shower and use it while working out. By supporting Bluetooth 4.0, this smart bracelet brings along stable and ultra-fast connectivity. With its pedometer and calorie counter, this gizmo lets you keep track of the number of steps you take throughout the day and calories burned. This information comes in particularly handy when trying to increase your activity levels. Your Bluetooth watch furthermore comes with a blood pressure sensor and heart rate monitor. These features allow you to analyze your current health and stamina to adjust your workouts accordingly. Thanks to its sports and sedentary reminder, you’ll never miss out on an exercise session again. Your smart sports bracelet comes with a crisp 0.96-Inch OLED display. On this little screen, it provides you with real-time data at any time of the day. The brightness of your display can be adjusted manually to meet your needs in any environment. The watch furthermore comes with a 90mAh battery that brings along a stunning of 130 hours of usage time on a single charge. The ORDO S13 Smart Fitness Tracker Bracelet comes with a 12 months warranty, brought to you by the leader in electronic devices as well as wholesale Bluetooth watches..